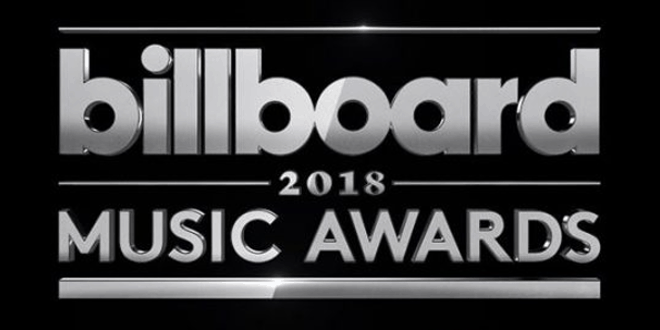 Billboard Music Award Winners - 101.9 FM - The Wave! Kelly Clarkson hosted the 2018 Billboard Music Awards on Sunday night. With tears streaming down her face, Kelly opened the show by honoring the victims of the Santa Fe High School shooting, which left 10 people dead and another 10 wounded. “Tonight they wanted me to say that obviously, we are going to pray for the victims, we are going to pray for their families, but they also wanted me to do a moment of silence, and I’m so sick of moments of silences,” Clarkson said. Clarkson also performed, as will a slew of other artists, including BTS, Ariana Grande, Ed Sheeran, Khalid and Shawn Mendes, Zedd and Maren Morris along with Grey, Macklemore and Kesha, Jennifer Lopez, John Legend, Camila Cabello, Dua Lipa and Salt-N-Pepa with En Vogue. Janet Jackson performed and received this year’s Icon Award. Ariana Grande belted out her new song “No Tears Left to Cry” to open the show. The 24-year-old singer started the performance by laying on a bed of umbrellas. Halsey and The Chainsmokers appeared on stage together to pay tribute to their late friend Avicii, who passed away recently. “We’d like to take a moment and talk about our friend Avicii. His passing was a great loss for the music world and for us. He was an artist who inspired so many in so many ways. Simply put, he meant so much to us and everyone in the EDM community. Everyone who worked with him would agree that he was such a joy and it makes this tragedy all the more painful. It’s a reminder to us to be there and to support and love all of our friends and family members who may be struggling with mental health issues,” they said. John Legend performed his hot song “A Good Night” – just days after the birth of his newborn baby boy, Miles Theodore. Chrissy Teigen gave birth on Wednesday. She took the opportunity to shade her hubby: “Wow didn’t u just have a baby John smh go take care of it !!!!!! disgusting,” she tweeted. Dua Lipa performed her smash hit song “New Rules” for the screaming crowd. During her performance, Dua Lipa and her dancers performed a fun dance routine, all centered around a large flamingo. Shawn Mendes performed his song “Youth” with Khalid and 12 members of the Marjory Stoneman Douglas High School student choir joined them in honoring the 10 victims of Friday’s school shooting in Santa Fe, Texas. “Pain but I won’t let it turn into hate/ I won’t let it change me/ You can’t take my youth away,” Mendes belted out. While Mendes played guitar and Khalid wearing a “Protect our children” shirt, 12 members of the show choir, wearing “Youth” sweaters walked on stage to sing the chorus. The group shared a warm embrace as the audience gave a rousing standing ovation. Jennifer Lopez performed “Dinero” for the first time on television. DJ Khaled was seen on a separate stage to introduce the song, and Cardi B appeared via a black and white video for her portion of the song.